We have a catalog of available sites within industrial and business parks with access to today’s expanding and changing infrastructure. The county owns the 155-acre Thomas E. Lee Industrial Park which is the site for several major employers: MPS, Zamma Corporation, Lohmann Specialty Coatings, and St. Gabriel Organics. The Park is served by CSX railroad and has public water and sewage available. 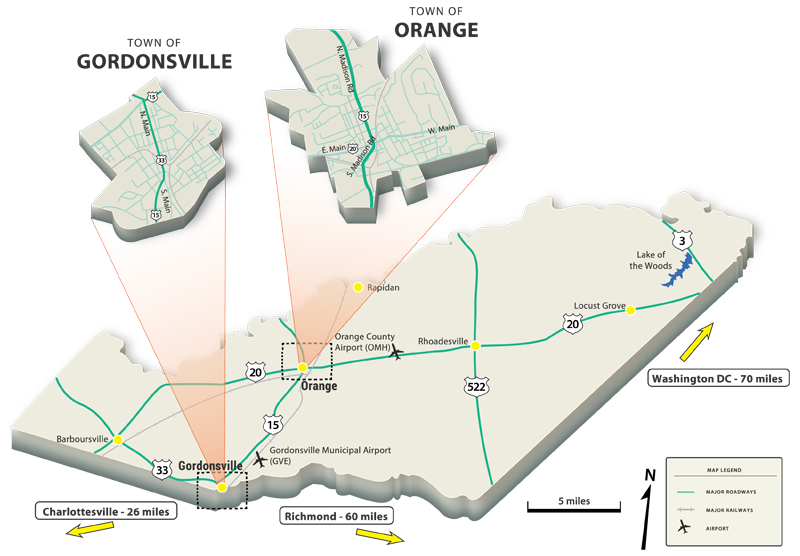 The Twins of Germanna Office Park is conveniently located on Route 3, connecting the more heavily populated areas of Culpeper at Route 29, and Fredericksburg at Interstate 95. Both run directly into the Northern Virginia/Washington, DC area. Aside from the industrial and business parks mentioned, Orange County has other desirable buildings and locations that may meet your business needs. Please contact the Office of Economic Development at 540-672-1238 today to learn more. Download and submit the appropriate VEDP building/site data sheet for inclusion in Orange County's commercial real estate listings. Please complete as much information as possible, return the form to our office, and we’ll upload your listing to the VirginiaScan searchable database. You may return your completed forms with digital images and any supplemental documentation by one of the methods below. When sending by mail, images should be saved on CD. Scan all of your documents into a PDF-format file. Attach the PDF and all digital images to the email message, and send to this address: rdeal@orangecountyva.gov. 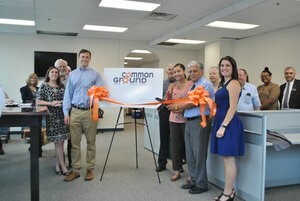 On May 31, 2017, Orange County welcomed its first co-working space, Common Ground. Common Ground is a collaborative working space, providing inexpensive office space geared toward small business owners, freelancers, entrepreneurs and the like, in an open office environment. Users pay a monthly membership to have access to an open desk or table space, internet connectivity and office essentials ranging from paperclips to a printer. Members typically enjoy the company of other like-minded individuals and help foster an environment to collaborate and share ideas. The collaborative work space is located at The Twins of Germanna Office Park, in an office space encompassing 2,100 square feet. The space houses twelve (12) desks, a shared high-top desk, conference room, one (1) private office, 24/7 access, Wi-Fi connectivity, printer services, refreshments and much more. For more information, please contact Mansour Azimipour at (540) 972-2000 or visit the space at 4444 Germanna Highway, Locust Grove, VA 22508.